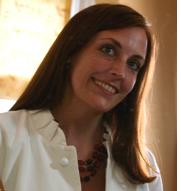 CreateGirl: An Inspiring tour of NYC! An Inspiring tour of NYC! If you read CreateGirl often you know I travel to NYC for work but it has been years since I have traveled to NYC to be a tourist! This past weekend this is exactly what we did and I loved every minute! 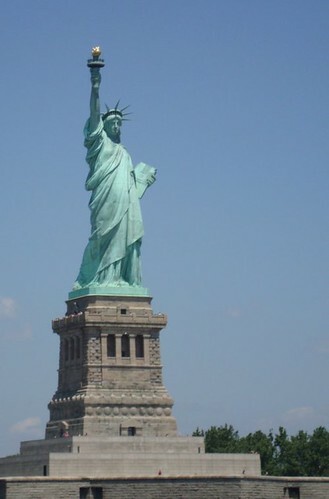 I can't believe this was my first time visiting the The Statue of Liberty and Ellis Island, honestly nothing could make me feel more proud to be an American. It was an emotional visit and I realized once again how fortunate I feel to have the opportunity to be a business owner especially viewing what the immigrants went through to come to this land of opportunity! Here are just a few shots from the weekend! A view of the most beautiful lady from the ferry! 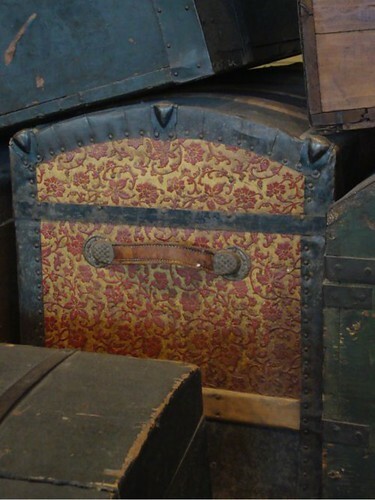 I was intrigued by the designs on each trunk, so beautiful and intricate! The nailhead trim and leather handles made this piece stand out. I was overwhelmed with pride when I saw my Grandmother's name "Maravigna" on the wall of Honor at Ellis Island! Growing up I heard story after story of my Great Aunts coming from Sicily on "the boat" and to now have a visual of their arrival was incredible! Once home and looking through all of our photos I realized I was snapping pictures of different patterns storing them away to use for the wedding invitation design. 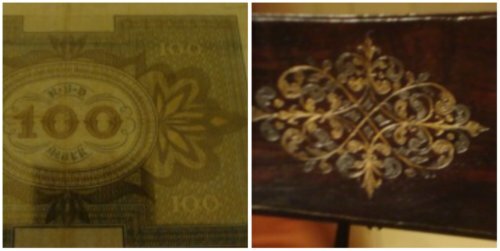 The one on the left was found at Ellis Island on a piece of currency and the one on the right was a chair accent at the Met. 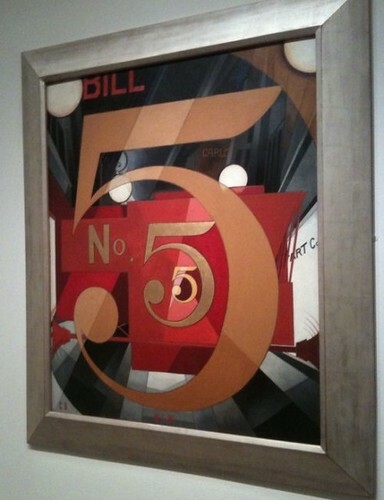 Of course I fell in love with this piece from Charles Demuth, The Figure 5 in Gold at the Metropolitan Museum. Instead of writing a tribute to his friend William Carlos Williams, Demuth used images to describe his friend.Fantastic! There is nothing like NYC. I was born in Brooklyn and grew up in Jersey. Miss the access of going there. I am so glad you had a great time. So fun that you got to go and be a tourist for the weekend! 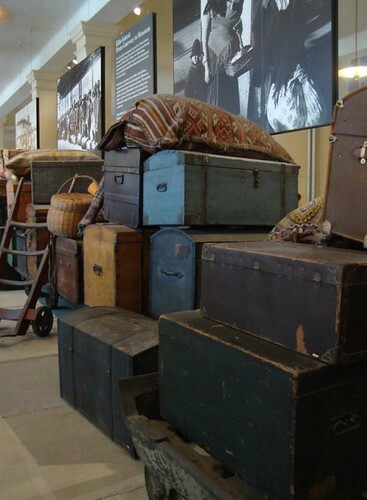 I have always wanted to go to Ellis Island and look for my Greatgrandmother's name - I think it would be so amazing to see in person. So glad that you got to and that it was so moving! New York is really awesome place to travel. I like your experience you shared in the post about your travel trip. Captures are adorable one....!!!! !